HONOLULU -- The remains of a saint known for caring for exiled leprosy patients have been returned to Hawaii. St. Marianne Cope's remains will arrive in a hearse Thursday at Cathedral of Our Lady of Peace in downtown Honolulu for a ceremony and Mass. "For us to have her back is very, very significant, and a great blessing for us," Bishop Larry Silva of the Honolulu diocese told CBS affiliate KGMB. She was 80 when died of natural causes in 1918 at the remote Kalaupapa peninsula on the island of Molokai, where the Hawaiian kingdom exiled leprosy patients to control the disease. Her remains were exhumed from Kalaupapa in 2005 during her canonization process and taken to Syracuse, New York, where her religious congregation is based. "I think there was a realization on the part of the Franciscan Sisters in Syracuse that there is great devotion to her here in Hawaii," Silva told KGMB. She gained sainthood in 2012. 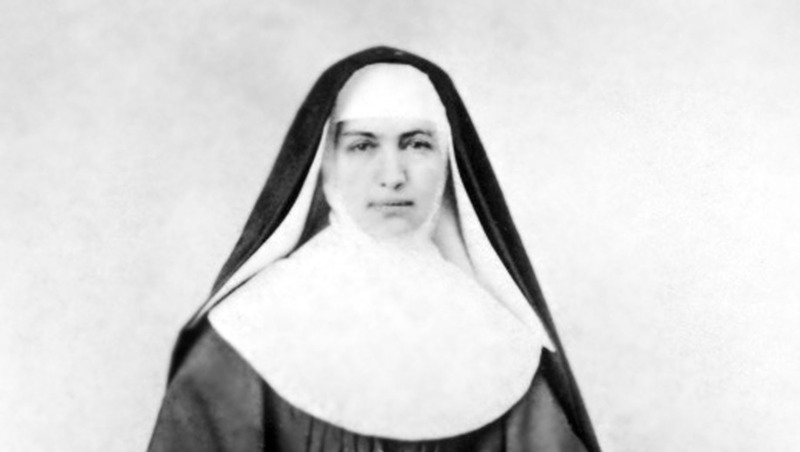 Relocation from New York was necessary because the buildings of the campus where her remains were housed are no longer structurally sound, requiring the Sisters of St. Francis of the Neumann Communities to move to another part of Syracuse. It makes sense to keep her remains in Honolulu, as opposed to Kalaupapa, which can be accessed only via plane or mule, Silva said. The remains - a full collection of her bones - arrived Sunday in a casket aboard a United Airlines flight from Newark, New Jersey, said diocese spokesman Patrick Downes. He said the remains have been kept at the St. Francis Convent in Manoa. A sealed zinc-coated metal box containing the bones will be placed upright in a koa wood and glass cabinet in the cathedral. The display cabinet already contained her relic, a small box of bone fragments that a nun traveling from Syracuse carried to Honolulu in 2011. The relic was taken on a tour of the Hawaiian islands.